Do you remember playing with glow sticks when you were a kid? These are still fun for young kids to play with at night or in a dark room. However, they are also a great item to have on hand when there is an emergency or disaster. You simply need to know a few survival uses for glow sticks. One of the best survival uses for glow sticks is to mark trails when out camping. The use of these items to mark a trail is a great way to help keep people safe. People can find their way back to camp and will not have any worries about getting lost. Other survival uses for glow sticks include marking areas for rescuers and campers. Anyone who is not in a designated area can easily find a safe place to go. The only thing to remember about using these as an emergency tool is they contain harmful chemicals. 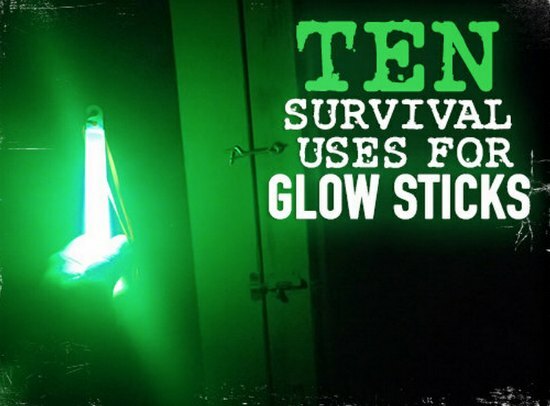 A list of survival uses for glow sticks is available on prepforshtf.com here..